Sony’s latest flagship, the Xperia Z4, was quietly announced last week without the Japanese company hosting a big media event or anything of the sort. We soon found out why that was the case. 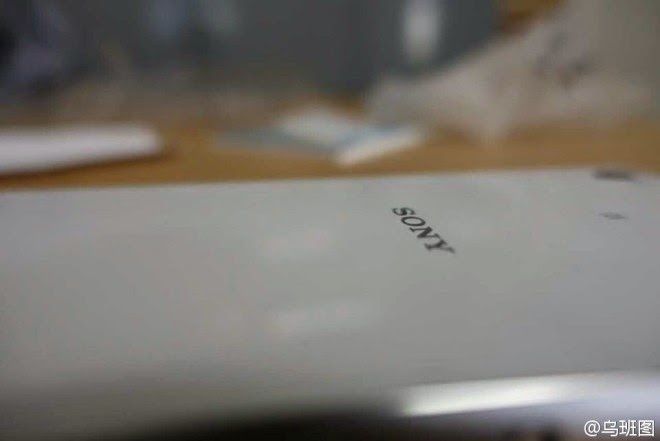 It’s because Sony plans to market the Xperia Z4 only in Japan, but according to sources familiar with the matter, the company is prepping another flagship which should be rolled out on the global market this summer. A few days ago, word of the Sony Xperia Z5 surfaced online, with the mention that the phone should make a debut by the end of the year. The time frames, however, don’t align, so we have to assume that the Sony Xperia Z5 is not the flagship the phone maker is planning to unleash on the international market following the release of the Xperia Z4, but an entirely different model. Well, this week, the Xperia Z5 continues to be in the news. The folks over at GSM Dome have managed to dig up a picture from China’s lofty social media website Weibo, which apparently depicts the real-life phone. The image is quite blurry and shows the back of the device, which appears to be metallic. We can also spot the rear camera in the top left position. It’s interesting to note that the post including the photo on Weibo made a reference to Type-C, which probably means the phone will arrive with a USB Type-C port. This isn’t a surprise given that this new standard will end up being implemented on most next-gen mobile devices coming out this year. Chinese video streaming guru LeTV has already rolled out the first three smartphones taking advantage of USB Type-C. Apple and Google also launched laptops bundling this new port last month. The post also includes the number “9,” which could mean that Sony plans to unleash the phone earlier than it was originally anticipated. Maybe the phone could arrive in September. Other rumored specs include a 1440 x 2560 pixel resolution, Qualcomm’s next-gen Snapdragon 820 chip (which will apparently be built by Samsung), an improved main camera (although don’t go thinking it will have OIS), and Qualcomm’s Sense ID fingerprint technology embedded. On top of that, Sony is finally said to be actively working towards designing a new look for the next-gen Xperia Z5. As we have seen, the Xperia Z4 follows the same aesthetic schematics as it predecessors and can be considered only an incremental update compared to the Xperia Z3 that came before it.